Estrogen & Estrogenic Chemicals in Plastic Water Bottles! I'm guessing you probably drink a lot of water. My city's tap water does not seem too safe to drink and does the bottled water have estrogen in it? I'm don't do tap, that's for sure! A while back the Associated Press reported on a study done on the drinking water of 24 metropolitan areas. They found that the water in these cites had trace amounts of many drugs, including Prozac, ibuprofen, antibiotics, and yes, they even found estrogen in the tap water in San Francisco. Sewage treatment facilities do a great job of removing removing bacteria and other pathogens from our drinking water, but it seems they haven't found a way to get rid of all the chemicals. Many people make the fatal mistake of replacing tap with water contained in cheap plastic bottles. Problem is, this water is polluted with estrogenic chemicals. BPA and phthalates are used to soften and condition the plastic bottles. If you drink water from plastic bottles, you have a high probability of drinking estrogenic compounds. Another researcher, Leonard Sax, MD, PhD, believes that these chemicals cause delayed puberty and lost motivation in young men, another sign that males in the modern world are being overrun by estrogen and estrogen mimicking compounds. In the US, plastic bottles are labeled with a recycling number. Some plastics are much worse than others. If the bottle is stamped with the number 1, 3, or 7, avoid it at all costs, as these are the worst offenders. Also keep in mind that if any bottle is left out in the sun, or heated in any way, it will leach chemicals at a much higher rate. Where do I get my water? If you've been around for a while, you probably remember when the sparkletts truck was loaded down with GLASS, not plastic bottles. They can be tough to find, but they're out there. I drive to my local grocery store, and fill it from the purified water machine located in front of the store. The water is filtered through charcoal, exposed to ultra violet light, and goes through a reverse osmosis process. Nobody said hanging onto your manhood was easy. 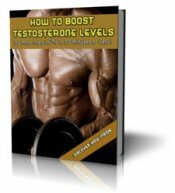 Jump to Herbal Testosterone Boosters! Comments for Estrogen & Estrogenic Chemicals in Plastic Water Bottles! Can you say whether filtering tap water will make it safe to drink? 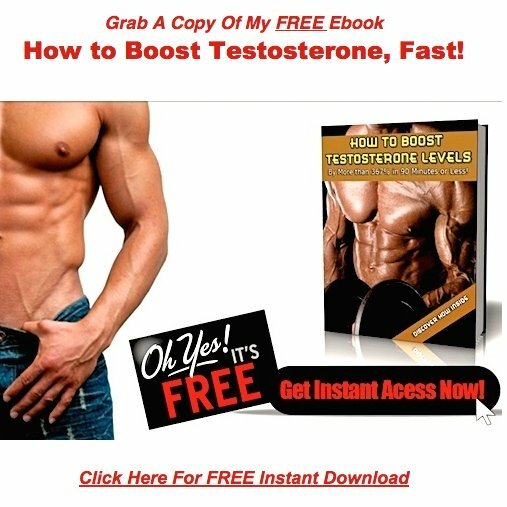 In particular in terms of estrogen mimicking compounds, fluoride and chlorine? If not, should I buy spring water bottled in glass? Is this good enough, better than nothing or falling way short of optimum? As far as your filtering, it would depend on how good your equipment is. That being said, even the budget filters will reduce a certain amount of chlorine, etc,, which is better than nothing. As for myself, I take the trip to the local grocery store and get my water from the big filtration machines out front. I'm not interested in spending big bucks on an expensive water filter, so this works for me.